Figure 8.4. 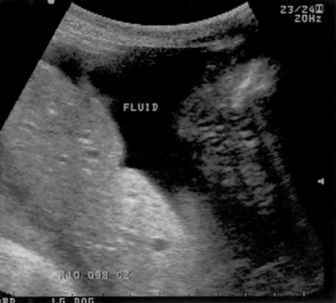 Faecal (o) and urinary (♦) oestrogen excretion in female SB 473. Values, aligned to day of urinary oestrogen peak (Day 0), were highly correlated (r = 0.87). absence of mating or AI, this female nevertheless displayed typical oestrual behaviours, including bleating and chirping. A lordotic tail-up response was observed as urinary oestrogens declined. 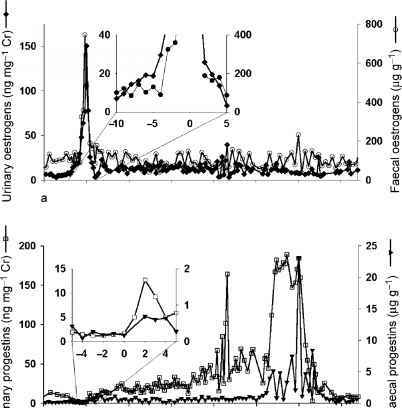 In this same year, post-ovulatory progestins increased by Day +3 with values from Days 0 through 40 exceeding (p < 0.05) pre-ovulatory concentrations.